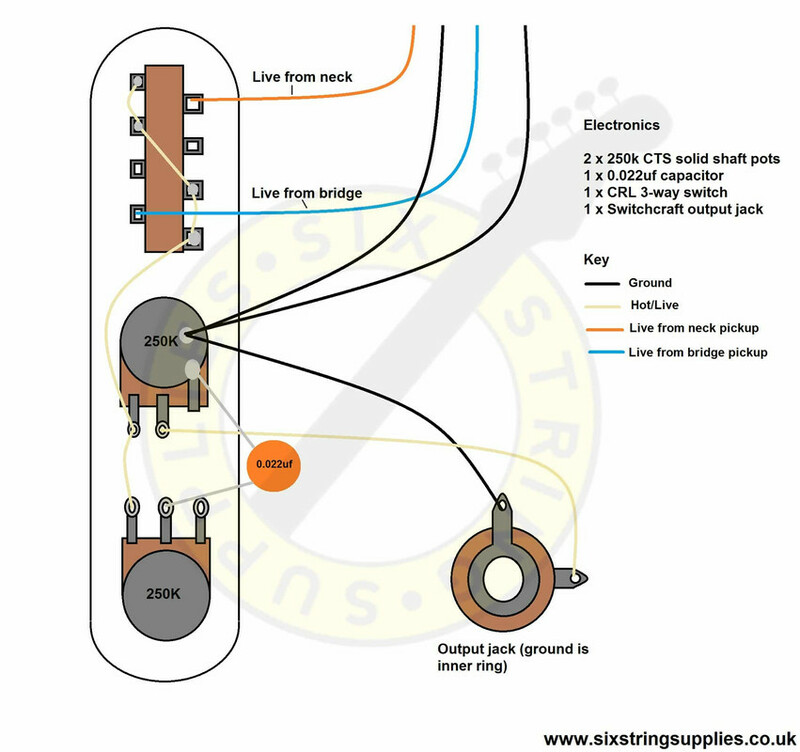 1969 Telecaster Thinline wiring diagram. In this version, the standard 0.047uf capacitor is swapped out for a 0.022uf creating a slightly brighter tone full of twang. Telecasters are known to produce a bright and twangy sound.